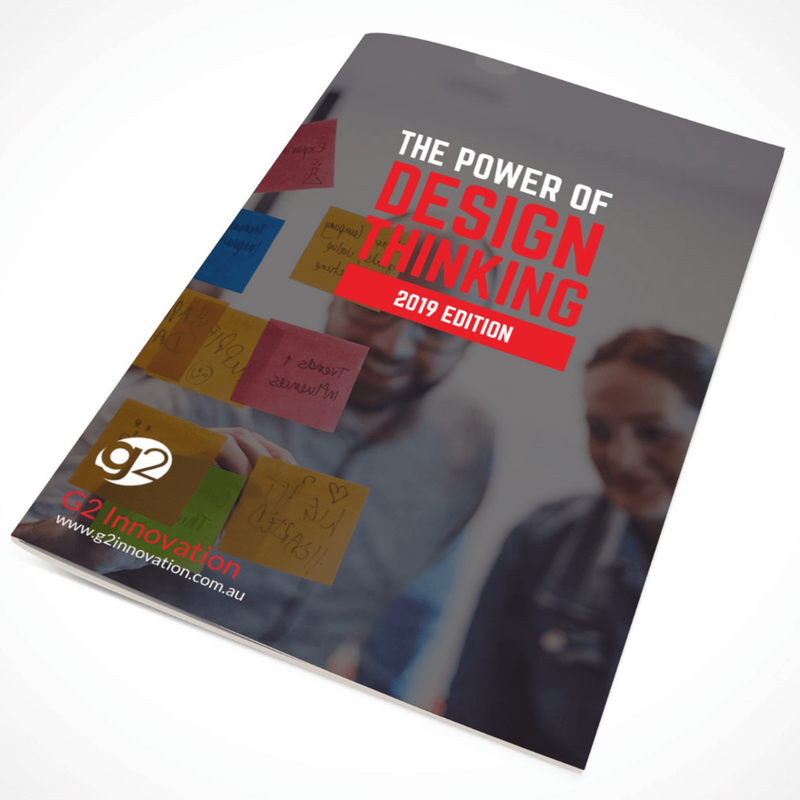 Learn Design Thinking skills that you can start implementing into your work today! Why is Design Thinking so powerful? Design Thinking is a framework for generating, developing and delivering ideas that is simple to use and easy to implement. Design Thinking focusses on truly understanding the problem and the people involved in that problem. Design Thinking encourages creative thinking through dynamic, structured tools. Design Thinking de-risks innovation by using fast and cost-effective experimentation techniques. Design Thinking is simple to understand and easy to implement across entire organisations from leaders to frontline staff. Design Thinking is proven to achieve results consistently and effectively. G2 Innovation are one of Australia's leading Innovation and Design Thinking Training Firms. We help individuals, teams and enterprises to achieve growth by applying our user-centric methodologies to their challenges. We do this by delivering keynotes, workshops, short courses and transformation programs.